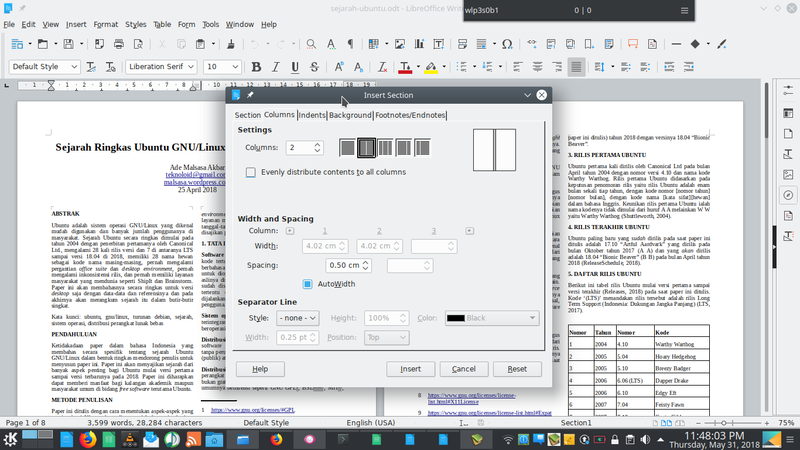 In LibreOffice version 6.0, the menu Insert > Columns in Writer has removed. So now how to create columns? 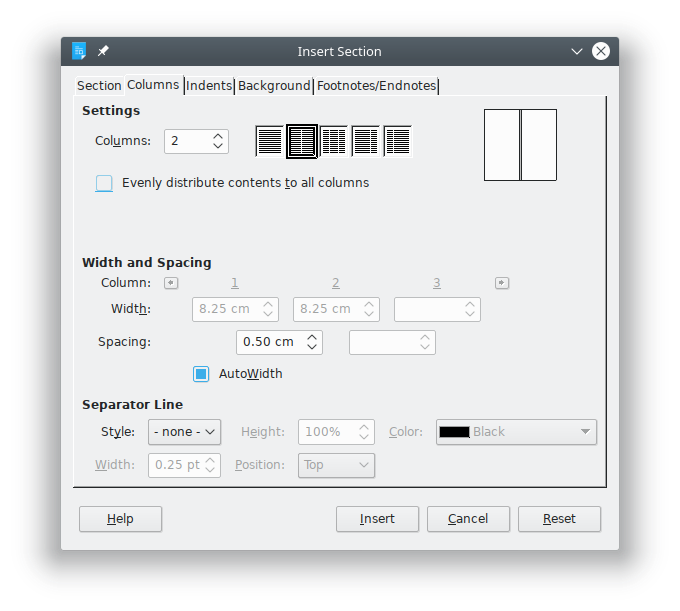 In 6.0, you can create columns from main menu Insert > Sections > Columns. 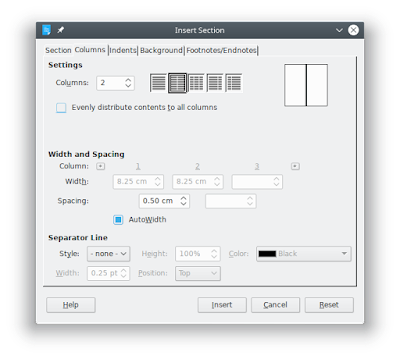 Select 2 columns or 3 or more from the first selection, deselect Evenly distribute, and finally press Insert. 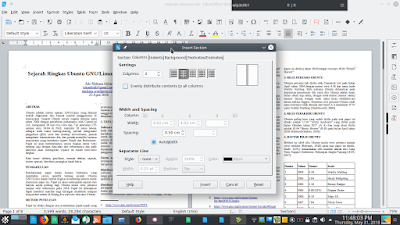 To remove columns in purpose to revert back to normal text layout, go to main menu Format > Sections > select Section 1 there > Remove > OK > columns are now gone.